doesnt global warming includes weird weather like cooling? we don’t know, all we know we can’t predict what will happen and sometimes we don’t know why a certain phenomenon is happening. Now I’m starting to doubt. Either way, using climate change has been a good instrument in making people aware of how badly the planet’s conditions are. It paved the way to REDUCING, REUSING, AND RECYCLING! That’s a good thing, right? Trying to build your post count by digging up a bunch of old threads huh? Why? Is that a bad thing? This thread was on page 2. And there were no other threads of which I am more knowledgeable of answering than the ones I have posted on. Nothing wrong with digging up old threads but posting for the sole purpose of building pip count? At least don’t make it so obvious. Oh. So what were you trying to say when you said “Maroon”? I’m sorry if I may get you wrong but I think I also have the right to say my opinion on some topics even if you see it as just building up my number of posts. Old thread where newbie are getting picked on by Honorary members. Global warming is true! 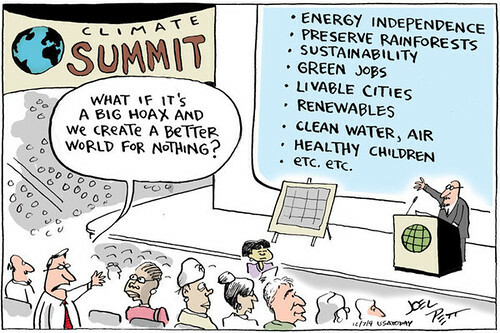 The debate over whether this is a hoax or not is stupid… If it’s not global warming that destroys us, there’s any one of 100 more things that could in the next century or two. There is a cycle of ice ages and global warming approximately every 20 thousand years regardless of human activity… get used to it. Your species is doomed to extinction unless you go off world any way as your planet will be uninhabitable in approximately 500 million years. Your view of reality is myopic and conceptually irrelevant. You said “Of course there is going to be a one-world government”, but it sounds like utopia!!! (Reuters) - Sunspot cycles – those 11-year patterns when dark dots appear on the solar surface – may be delayed or even go into “hibernation” for a while, a U.S. scientist said on Wednesday. Hill and other scientists cited a missing jet stream, fading spots and slower activity near the Sun’s poles as signs that our nearest star is heading into a rest period. They had no answer as to whether this might be true, and said nothing about whether the Maunder Minimum – named for astronomer E.H. Maunder – was related to a long cold period in Europe and other parts of the Northern Hemisphere known as the Little Ice Age. • which is bringing on another Ice Age. Damn, cow farts cause ice ages? Who knew? I wonder if the wooly mammoths knew that? — They had a really big ice age. — It was probably caused by all those wooly mammoth farts. 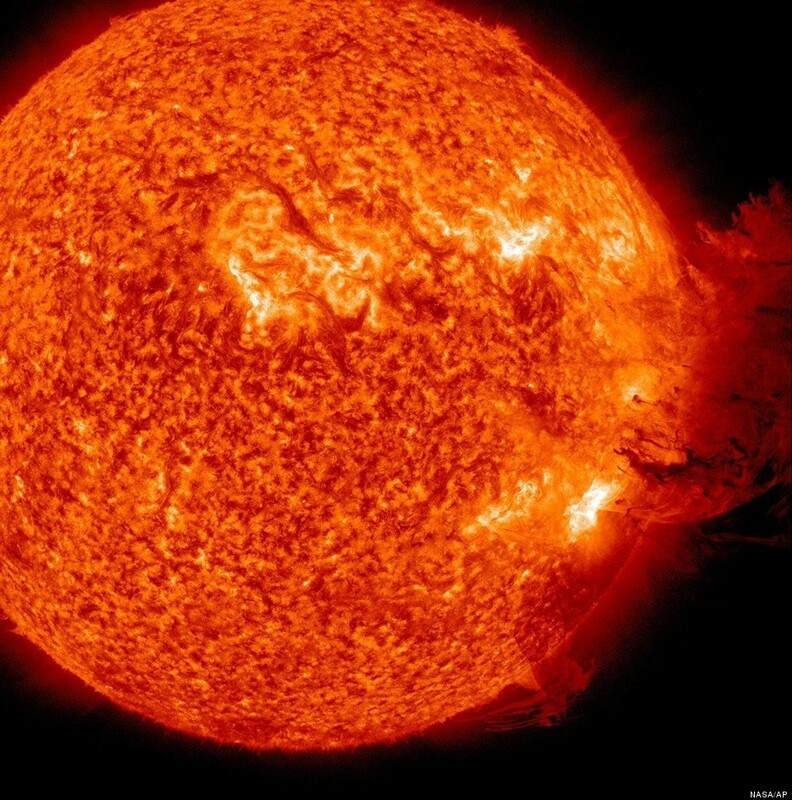 solar flare covers half the sun! Another ole thread digger, lol. I love the ice age! I heard an interesting theory once about how global warming and ice ages can go in cycles. As things get warmer more polar ice melts and there is more moisture in the air so each year there is more snowfall so each year with more snow than normal on the ground less snow melts in the summer gradually this increases and you have an ice age. During the ice age most fresh water is frozen in glaciers so there is less moisture in the air and less snow fall each year and so more melts in the summer than falls in the winter so glaciers begin their retreat and the warming phase progresses then the cycle is complete and starts all over again. Being logical, and cycle based, that theory flies in the face of conventional wisdom.